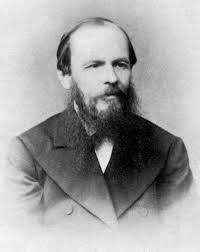 Fyodor Dostoyevsky (1821 – 1881) – Russian novelist, short story writer, essayist, journalist, and philosopher. St. Gregory of Nyssa: Moses and “Luminous Darkness”… “seeing that consists in not seeing”. 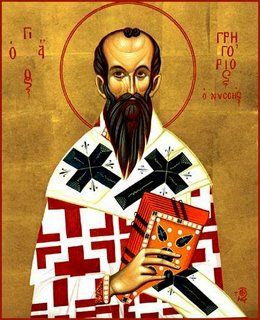 St. Gregory of Nyssa (c. 335 – c. 395), is one of the three Great Cappadocian Fathers along with his older brother, St. Basil the Great, and friend, St. Gregory of Nazianzus. I especially love Gregory Nyssen for his deep spirituality and mysticism. He was a highly original and sophisticated thinker who remains controversial among both liberal and conservative theologians to this day. In his treatise The Life of Moses, St. Gregory tells us that a person’s encounter of the mystery of God corresponds to the three theophanies of Moses, involving successive entry into light, cloud, and darkness. According to St. Gregory Nyssen, the first stage in our quest to encounter God is Moses’ vision of God as the light of the burning bush; illuminating the darkness of our sin and ignorance. The second stage involves a journey from light into partial darkness where Moses encounters God as the ‘cloud’; the intermingling of light and darkness, revealing the distance between the Creator and the created realm. The third and final stage entails Moses entering the darkness of Sinai where God is; and our realization upon encountering and even being united with God that He is utterly incomprehensible in his essence. In this treatment, I think, St. Gregory of Nyssa clearly identifies both cataphatic and apophatic theology, bridges the two and holds the tension between them, drawing the best from both.